In less than one week my husband and I will be as far from the daily grind as possible and enjoying life at the happiest place on earth. Kind of like a belated honeymoon/1st anniversary celebration because I'm a big kid at heart :) (and I'm not gonna lie...I wanted to be selfish and enjoy Disneyworld sans kids one last time before we start a family #sorrynotsorry) So before we leave I wanted to get this unboxing post finished. 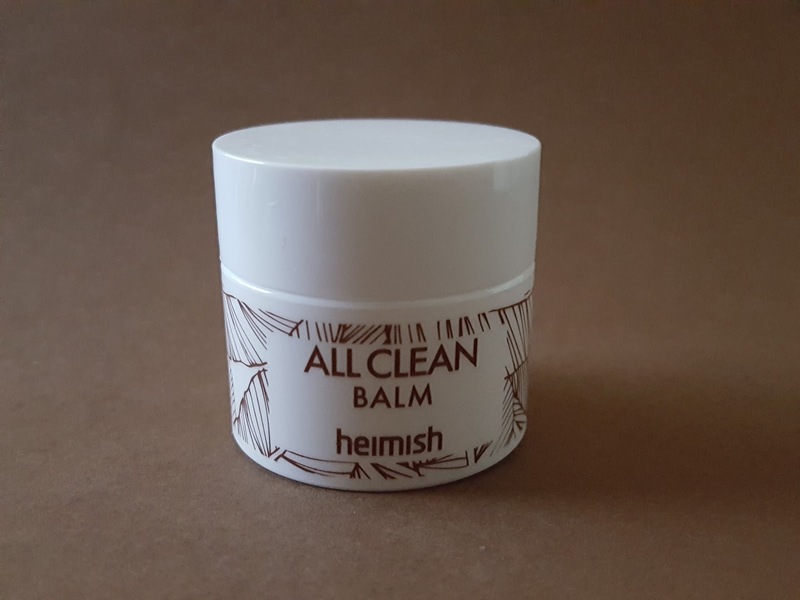 Heimish All Clean Balm (~1oz, value ~$4) - This was September's spoiler item. I love cleansing sherbets and balms and can never have enough of them. I like to take it traveling because technically it's a solid so it doesn't count toward the 3-1-1 liquid hand carry rule. The only drawback about this one is the scent. There's something very minty about it. I guess that's good if your sinuses are stuffed up but it's not something I look for in my cleansers. But it does smell very clean indeed. 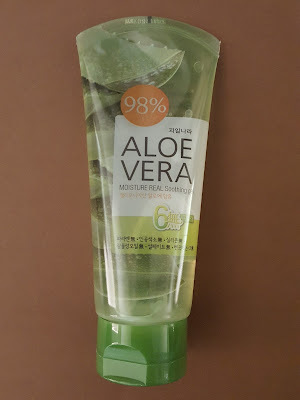 Welcos Aloe Vera Moisture Real Soothing Gel (150g, value ~$5) - When I was growing up, we used to have an aloe plant in the backyard and my dad would break off a leaf and use it whenever one of us kids got too close to the iron (guilty!) or got stung by a bee. Aloe vera is known for its soothing properties, especially for burns. That makes this the perfect moisturizer if you've been standing in the sun all day. My husband frequently has races that last allll day at the track and since he loads his equipment into my truck that means I'm out all day too (don't be fooled by those canopies, they don't block out everything!) This will get some good use in my house. Bonus: it's alcohol-free! 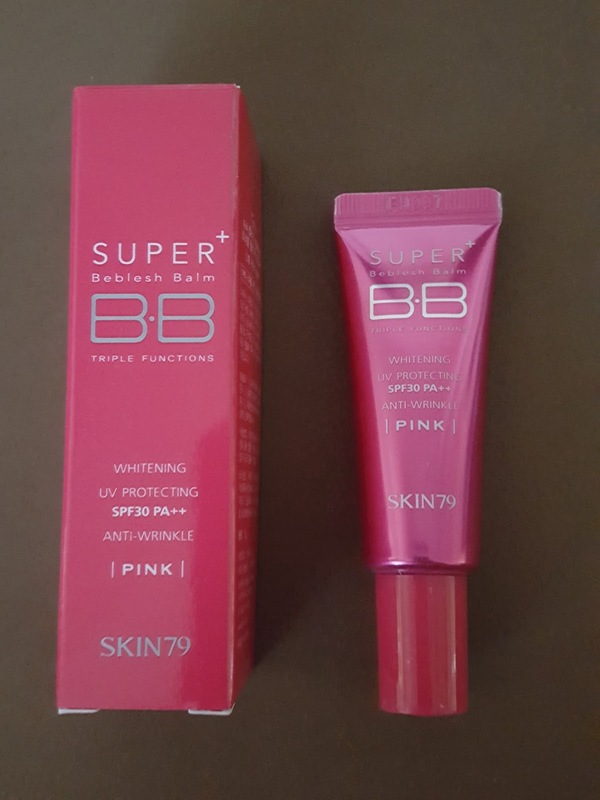 Skin79 Super+ Triple Function BB Cream (7g, value ~$3) - This BB cream contains sebum controlling ingredients like kava and purslane extract and provides SPF25 PA++ protection as well. It comes in 8 shades (this one is pink) including purple, orange, green, etc depending on your coverage and color-correcting goals. 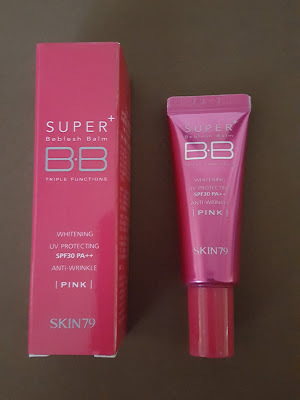 I think I'll look into one of those other shades if anything; cool colored BB creams don't go well with my warm skin tone. 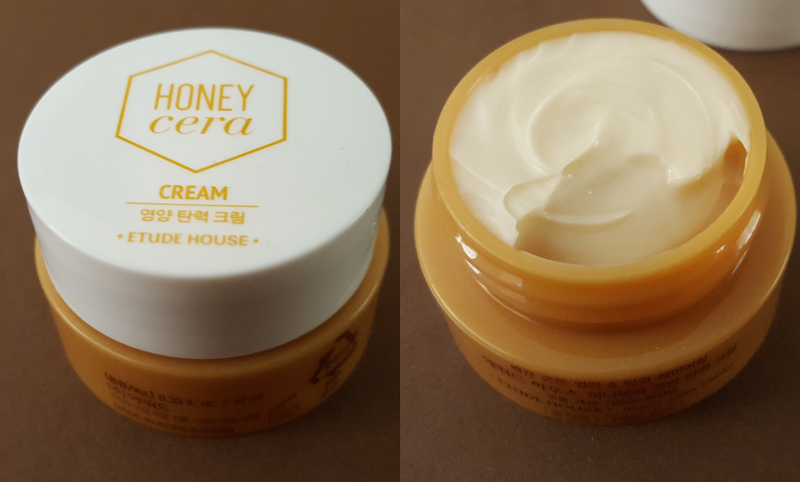 Etude House Honey Cera Cream (10ml, value $4) - Honey is often used in cosmetics due to its antibacterial and antioxidant properties which makes it good for acne prone skin. This is a highly moisturizing lightweight cream that's ideal for drier skin types. I tend to stay away from creams because even the ones that claim to be lightweight leave my face an oily mess all the way until morning regardless of how little I apply. Maybe I'll use this as a hand cream or lotion instead. 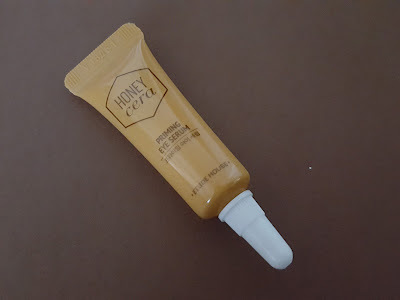 Etude House Honey Cera Priming Eye Serum (5ml, value $5) - Oh the honey! Pooh would have a ball. This eye serum is from the same line as the facial cream above. In addition to honey, this serum contains ceramide, hyaluronic acid, and niacinamide to help with hydration and brightening. Great for those sleepless nights when you wake up with panda eyes. I really wanted to like this month's bag a lot, but I'm just not thrilled with anything other than the aloe gel. I think I'd be more excited if the BB cream was a different shade or if the cleansing balm had a different scent (or better yet, unscented). I'm still debating if I want to take the balm with me to Disneyworld, but the aloe gel is definitely coming along for the ride since my skin could really use some TLC after being outdoors all day for a week! 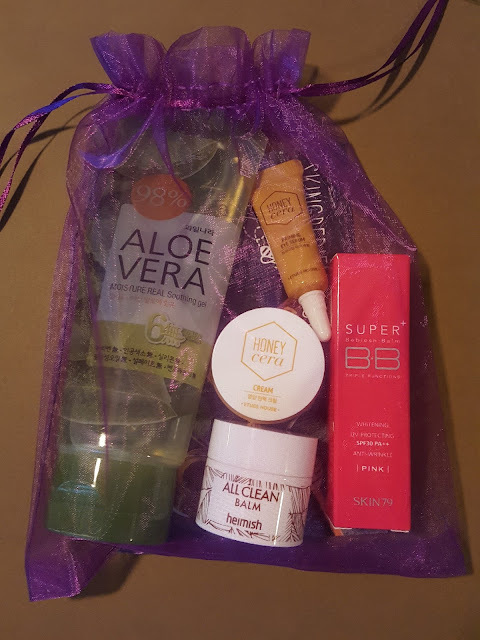 If you enjoy getting Asian beauty goodies in the mail every month (especially skincare), you can subscribe to 3B Box here. It's just $12/month with free shipping which makes it one of the most affordable Asian beauty boxes on the market.